Recruiting season has begun and is in full effect for Adams. 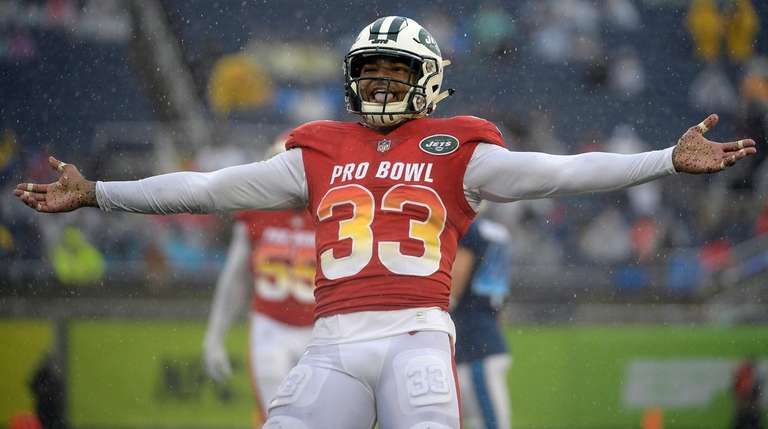 ATLANTA – Jamal Adams didn’t just grab an interception and the Pro Bowl defensive MVP in Orlando. He also grabbed lunch with Le’Veon Bell’s agent. Adams, the Jets' star safety, said he would recruit players to join the Jets and Bell is definitely one on his radar. 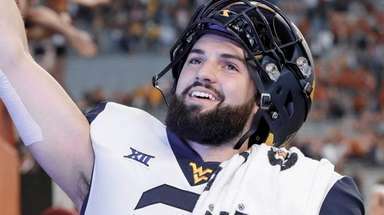 Adams has reached out to Bell, who sat out the season over a contract dispute with the Steelers. But Adams and his agent Kevin Conner tried to downplay the fact that it was a recruiting lunch. They said Conner is friends with Bell’s agent Adisa Bakari and it was just “a casual lunch.” Conner said he was there as well. Interestingly, Chiefs linebacker Dee Ford, who also will be a free agent and could be someone the Jets pursue, also attended the lunch. So recruiting season has begun and is in full effect for Adams. “Yeah, definitely, I was out there talking to a couple of guys,” Adams said Wednesday between radio interviews at the Super Bowl. 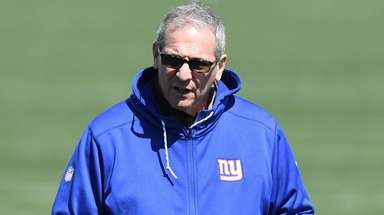 “There was a report that came out that said I invited Le'Veon Bell’s agent out there. Bell and Ford are two players who would fit that description. Unhappy Steelers receiver Antonio Brown does too, but he’s not a free agent. The Jets would have to acquire him in a trade, but Adams is on board with getting one of the top receivers in the game. 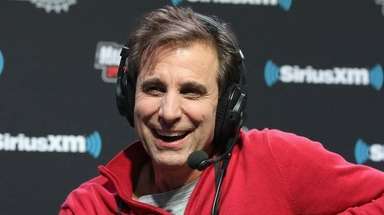 The Jets could be appealing to those types of star players, and they also have the assets to be involved in trade talks. They have the No. 3 overall pick. They should have roughly $100 million in free agency – and they’re going to spend – and a young quarterback in Sam Darnold who they believe is destined for greatness. The Jets have needs just about everywhere – edge rusher, offensive line, running back and wide receiver. But in Adams and Darnold the Jets feel they have cornerstone players who can help turn around a franchise that has missed the playoffs for eight straight years and last played in the Super Bowl in 1969. The Jets also are trusting that new coach Adam Gase can bring out the best in Darnold, and fiery, aggressive defensive coordinator Gregg Williams will do the same for a unit led by Adams. While the Pro Bowl is a meaningless game, it was important for Adams to play in it. He took it very seriously and was happy to walk away with the MVP award. “It was great,” Adams said. “I had a lot of fun. It was everything I dreamed of, to go out there and be recognized as one of the top players and come home with the honors of MVP. Some people say it doesn’t really mean much.